Abram Lyle (1820–1891) is noted for founding the sugar refiners Abram Lyle & Sons which merged with a rival to become Tate & Lyle in 1921. He was born in Greenock in 1820. Together with four partners he purchased the Glebe Sugar Refinery in 1865, and so added sugar refining to his other business interests. When John Kerr, the principal partner, died in 1872, Lyle sold his shares and began the search for a site for a new refinery. 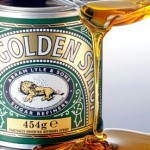 Sugar refineries belonging to Tate & Lyle continued as a major industry in Greenock until the 1980s, and then declining sugar consumption and a shift away from cane sugar led to closure of the last refinery in 1997. There is still a sugar warehouse in the town’s Ocean Terminal. 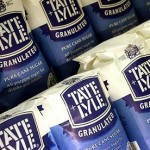 Below is a link to the history of Tate & Lyle, as described on their own website.